WHAT IS ‘SAIJIKI & KOYOMI’? 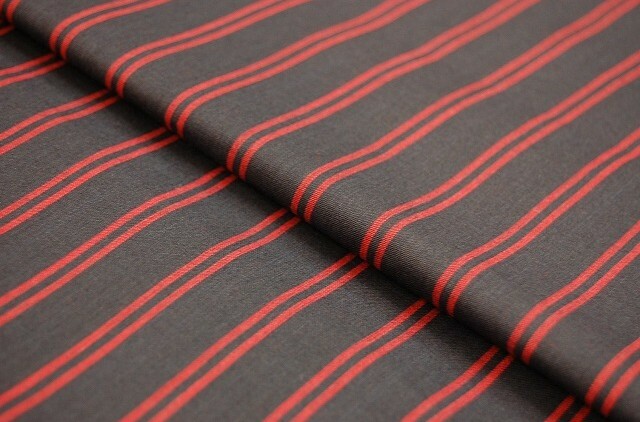 Modern, yet traditional stripe of Kawagoe Tozan. “Tomioka Silk Mill and Related Industrial Heritage”, the first model silk-reeling factory that the Japanese government established in 1872, is going to be included in the World Heritage Sites of UNESCO. the capacity of the production of cocoons were sufficient. The land was available for building the mill complex. There was a river which supplies the clean water nearby. Coal which was necessary for the steam engines was available nearby. Local residents agreed with the construction of a factory directed by foreigners. Taking these conditions into consideration, Kawagoe could have been selected instead of Tomioka, but we think that it was the fifth condition which was the most difficult for Kawagoe to agree to since the town was already thriving without the governmental facility. The city of Kawagoe has several local specialties but it is famous especially for sweet potatoW and textiles. 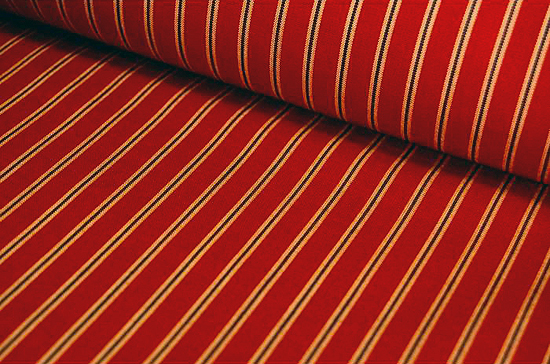 Today we would like to feature its traditional textiles in stripe. 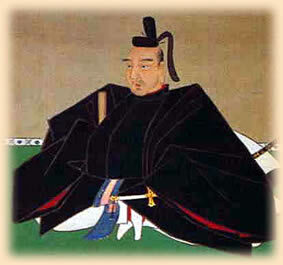 Takatomo Akimoto, one of the wise rulers who was sent to Kawagoe, enhanced the technique of weaving, which had already existed from the early 8th century. He used to work in Edo castle for Shogun. He distinguished himself by many works such as reconstruction of Edo after 1703 Genroku earthquakeW, and because of his skill, he was sent to several places as a ruler. When he was transferred to Kawagoe, he took the silk weaving technique from the area now called Yamanashi pref, a former place he worked for. After the arrival of Black ShipsW in 1853, the Tokugawa shogunateW decided to open five ports, Hakodate, Niigata, Yokohama, Kobe and Nagasaki for commercial trade. At that time, there was a significant demand of high quality silk fabrics of Kawagoe in Edo which the silk business was already very large. There was a very smart businessman named Kyuhei Nakajima, who was born as a son of a silk merchant whose interested was focused on Edo market at an early stage, opened a shop in Nihombashi. With the opening of the port of Yokohama, he started to dye silk fabrics of Kawagoe and sold them to foreign merchants. Instead, he bought cotton cloths such as fabrics in stripe from the foreign merchants. He also gained much information at the port which made him realize that imported fabrics had higher quality, still lower in price compared to domestic fabrics. A fear caught him, the fear that the domestic fabrics would not be competitive in the market with the price and the quality if the international tradings started. He decided to buy very thin cotton threads from the foreign merchants and made the skilled silk weavers work with imported threads. With this idea, he obtained the quality as well as the price at the same time. This was the beginning of Kawagoe Stripe fabrics called ‘Kawagoe Tozan’, which literally meant ‘Imported Stripe Cloths Made in Kawagoe’. By using fine threads, they were able to materialize delicate stripes and silk-like gloss, which domestic woven cotton fabrics didn’t have. Kawagoe Tozan, or Kawa-To in short, attracted many people including ordinary citizens who could not afford silk kimonos. So, it brought an explosive success to Kawagoe. However, Kawagoe Tozan strictly stuck to the traditional hand weaving production process which could not beat the production speed in the modern industrialization, extincted during Taisho periodW (1926–1989). In late 70s, Kawagoe Tozan was revitalized by a textile factory in Saimata prefecture and is available today in Kimono shops in Kawagoe and also on internet. For those who are not yet interested in wearing Kimono so much can also enjoy trying these fabrics by small fashion goods as a purse made with Kawagoe Tozan textiles, which surely would be a good souvenir! Have a look at some examples of Kawagoe Tozan textiles put on the right side. You would never notice that these are Japanese textiles for Kimono if we didn’t mention it. We are sure that these could be made not only into Kimonos but also modern western clothing as jackets which their characteristic is neither Oriental or Western as its origin is at the crossroads of the East and the West, in India! Paying respect to those who were involved from its origin to how it developed, we cannot stop ourselves being so impressed in sharing the same culture modified to match the local tradition! According to a famous philosopher Shūzō_KukiW, the stripes, especially with the vertical stripes, are noted as chick and cool, which is called ‘IkiW / 粋’ in Japanese. To be ‘Iki / 粋’ was one of the most important living theories to the people in Edo, which is lost nowadays, though the word ‘Iki / 粋’ still dances a lot on medias especially on fashionable living. By the way, do you happen to know that there is a difference between horizontal stripes and vertical stripes when they are used in a language? If you say “He has a thought of horizontal stripe” in Japanese which is “Yokoshima na kangae”, it means he has a wicket heart, or he has an ulterior motive! Carmine with yellow and navy stripe remind us of the stripes of India! Tai no Ura – Meet The Lucky Fish!